Bellissima Sterling Silver Pear Swiss Blue Topaz .98 ct with White Topaz 1.038 ct Earrings. Comes complete with beautiful box and bag! 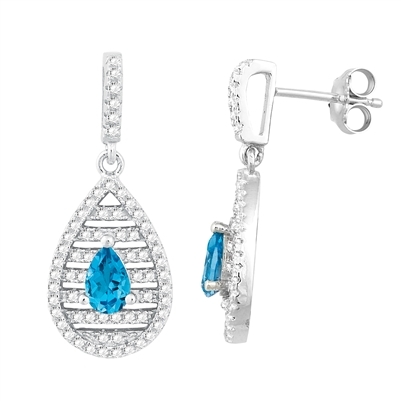 Bellissima Sterling Silver Pear Swiss Blue Topaz Ring Bellissima Sterling Silver Pear Swiss Blue Topaz Necklace.